I just love this little piggy and his ice cream cone!! Here's a close up of the glitter I added to the layers of ice cream. Be sure to stop on over at Pause Dream Enjoy to enter your card. Very cute dessert card! I will have to get i on the fun. Tara, this card is so stinkin' cute! 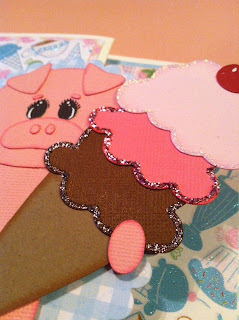 I love that little piggy and that ice cream looks delicious! The littler piggy is a cutie with the yummy looking ice cream. I think your card opens in a non standard way which I like and there's a challenge at Lexis Creations Ch82 Fancy Folds that you can enter. I used the Joys Life Yummy Puns stamp on my Dessert DT creation. Adorable little piggy...LOL!LOVE the color combo & Pattern paper!Cute & Yummy! Oh my goodness, your piggy is the cutest! Great card and yummy ice cream! I love your card!!! One of my very best friends collects pigs....She would go gaga over this card!!! Oh, how cute is that pig?!?! Love the fun ice cream cone with all the glittery accents and the way the card folds! 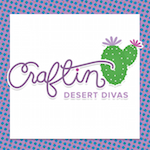 Thanks for playing at My Craft Spot! So sweet! LOVE the sparkly ice cream!!! 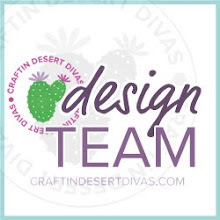 Thanks so much for joining us this week at My Craft Spot!! !